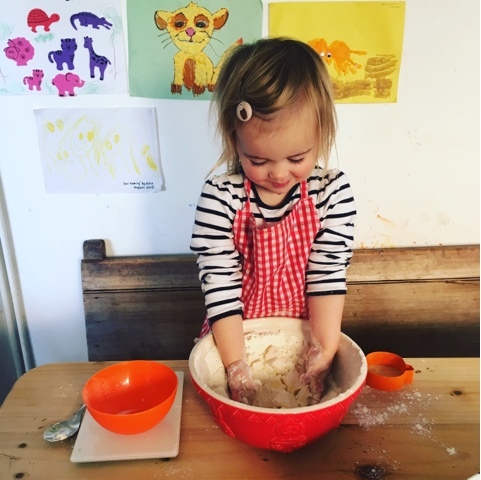 October has been beautiful in so many ways and this months Me and Mine Project post is a joy to write. The weather has been so kind to us, we have barely had to put on our coats and have been able to spend so much time outside adventuring as we love to do. I normally leave my Me and Mine Project photographs to the last minute but this month we actually managed not one but two family captures. It's been a special month with two big celebrations in the family - a wedding and a 60th birthday. 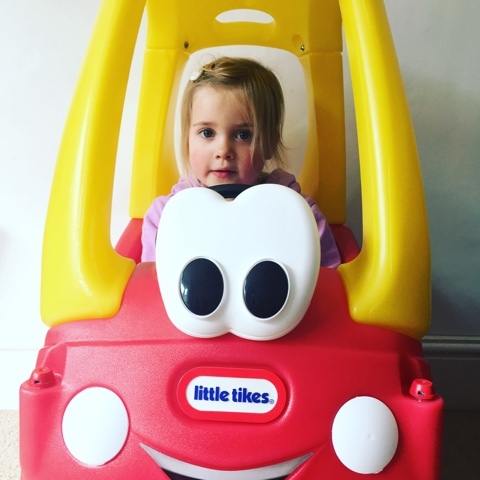 We've also really enjoyed lots of family time, particularly with it being half term and it's felt as though we have got the balance right this month. Our first image is from Oli's sister's wedding, an incredible day which we were so honoured to be a part of. The little ladies were flower girls, they thought this was simply wonderful and took their roles very seriously. 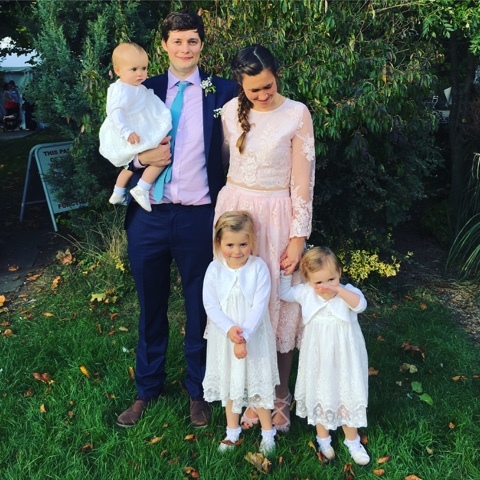 We were super proud of them as they walked up the aisle with their cousins looking adorable in their little dresses and ballet shoes with their posies of gypsophila. They thought their aunty was an actual princess when they saw her in her wedding dress. We didn't stop smiling all day and have the happiest of memories from the day. I'm really pleased that we asked someone to take a family photo of us and I think quite possibly it might be my favourite yet. We spent 4 days of half term celebrating my mums 60th birthday on the South Coast. We were right by the sea and enjoyed throwing pebbles into the ocean, eating far too much and some family time including a visit to the beautiful Arundel Castle. If you are ever in the area you must put it on your 'to visit' list, its breathtaking. The little ladies thought we were visiting Arendale castle, if you have little ones you will not need me to explain that this is where Elsa and Anna live in Disney's Frozen. They were mesmerised at the castle towering above them and thought it was absolutely magical. They wasted no time in climbing the 100 plus stairs to the keep. The gardens were equally beautiful, other worldly in fact, we popped the camera on a timer and hid in a tiny turret in the castle walls which the girls thought was brilliant. I remember standing watching the girls run with such joy through the gardens and locking the image in my memory, I love it when they can just be children and enjoy the simple things and for me it makes it all worth while as it's just the most perfect of sights. I'm so glad we took this family photo even though it's not perfect, the memory of it most certainly is. October has been full on too, we've been very busy with the blog including a visit to Bewilderwood in Norfolk and to the Mothers Meeting preview of the Marie Chantal collection for Marks and Spencers and i'm enjoying writing it more than ever, I can hardly believe that next month it will be my blog anniversary - a whole year since I nervously pressed publish on my first blog post. I've also accepted a job which means that after a 5 year career break at home with the girls I am heading back to work in November which is why I'll particularly treasure this October as my last month at home full time with the little ladies. I hope we can continue to maintain the wonderful family time I adore as it's so important to me. Miss Boo has finally settled at school after almost 5 weeks of tears at drop off in the morning, i'm keeping everything crossed that continues as she returns to school this week after our lovely 10 days together. 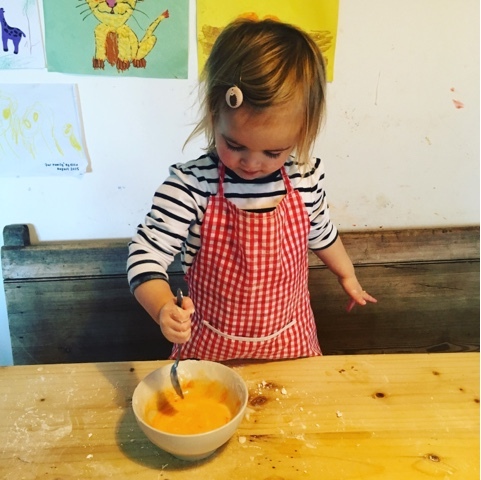 Miss Tib's and Miss Dot are keeping us busy with their fiercely strong characters (which I wouldn't change for the world) and all 3 of them make Oli and I laugh and smile every day. 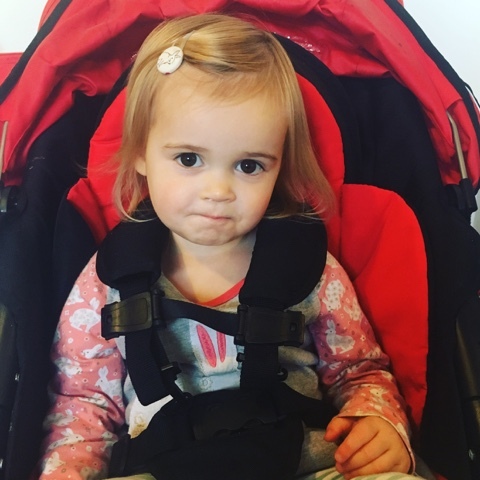 I think this month more than any other month this year, I just feel really lucky for my girls, for Oli and the team that we are and for what lies ahead. I'll look forward to updating you next month with what November brings. 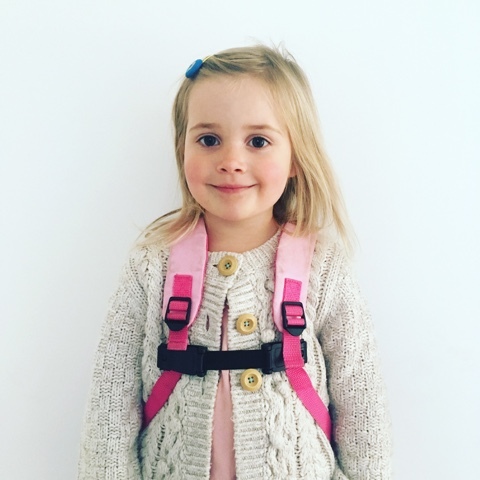 Linking up with Lucy from Dear Beautiful for this post. 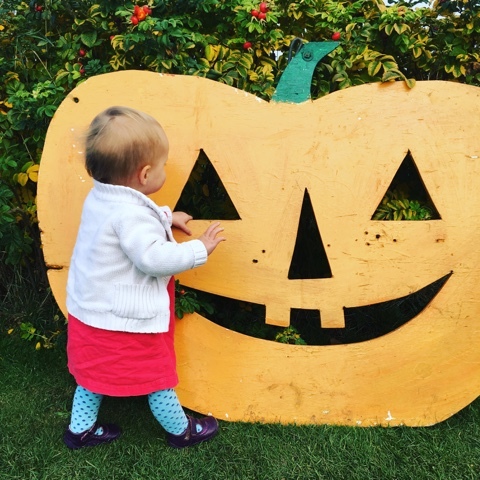 Our local pick your own farm has a wonderful field full of pumpkins where you can choose and pick your own pumpkin. The little ladies are really excited to see pumpkins as far as the eye can see and to choose their own. It's something we did for the first time together last year but is an Autumn tradition we will continue each year as it's lovely, simple family time that everyone enjoys. Once we have picked our pumpkins we take them home to be carved. Of course you don't have to go to a pumpkin patch for pumpkins you can pick them up from supermarkets which is just as fun. 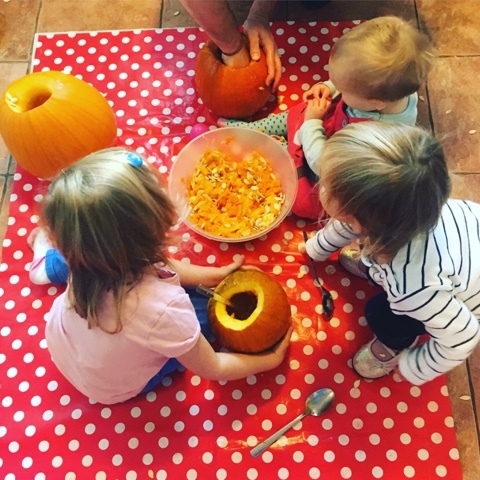 The little ladies are too young to get involved with cutting the pumpkins but they really like hollowing them out, it kind of doubles up as messy play and gives them a chance to explore different textures. They then really enjoyed selecting a design for daddy to carve them. 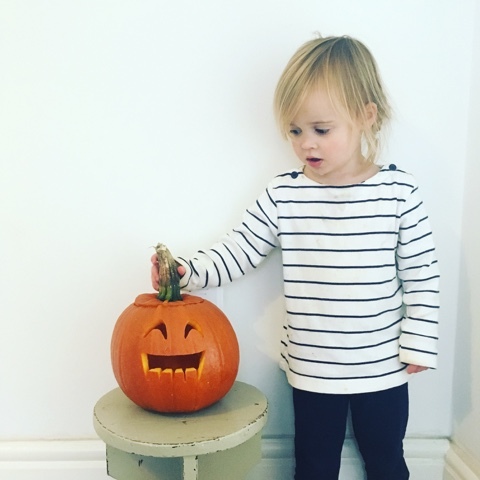 This year Ellie has chosen a 'happy ghost', Phoebe chose a 'friendly pumpkin' and they chose a bat for Lottie. I picked up some pretend tea lights in a supermarket so we are able to put them by the fireplace in the evenings without any worries about them getting hot. 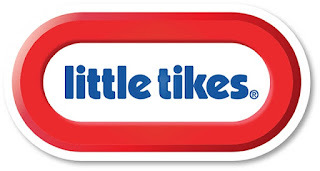 They will go on the doorstep on Halloween. 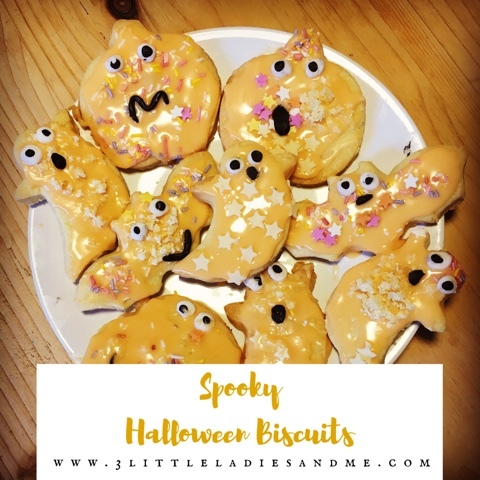 The little ladies love baking and really enjoyed making these 'Spooky Halloween Biscuits'. They were really easy to do and fun to decorate. We added popping candy to add a 'trick or treat' element to them. We also have some Halloween cupcake cases which we will make using a simple sponge cake recipe and decorate with green and orange icing and Halloween sweets. 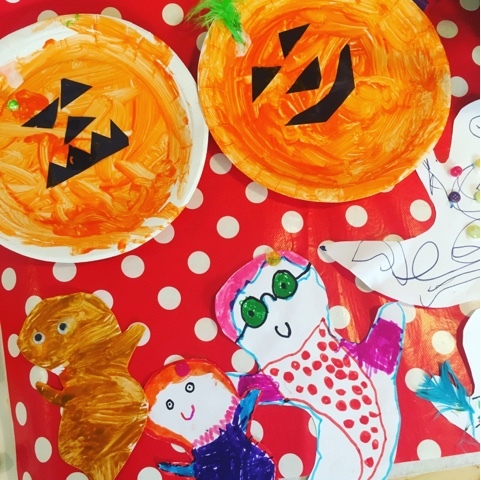 Ellie was really keen to make some Halloween decorations so we made pumpkin and witches faces from paper plates, paint and paper and I cut out some ghost shapes for them to decorate. 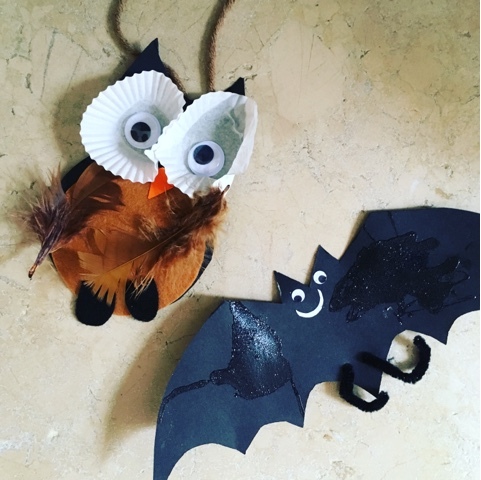 Phoebe and I have also made bats and owls at a tots group we go to each week which were very sweet and not at all scary. 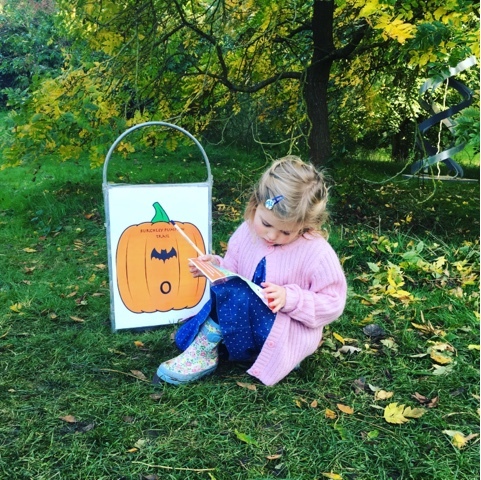 We visited Burghley House this half term and took part in their annual pumpkin trail. 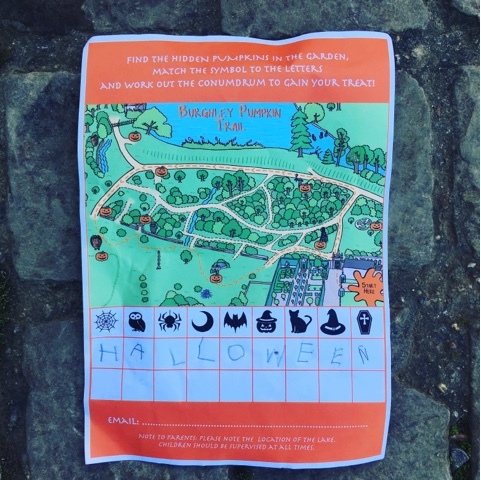 A gorgeous treasure hunt through the gardens with clues to find and a prize at the end. The little ladies loved following the map and the letters to spell out the mystery word. Ellie particularly enjoyed this and it was wonderful to see her recognise, read and write the letters on her sheet after her first term at school. We had a wonderful day at the Bewilderwood Glorious Glowing Lantern Parade. It's a magical, children friendly event in the woods in Norfolk which really captured the little ladies imaginations. It runs every October for 2 weeks and we'd really recommend it. You can read our full review of it HERE. The little ladies begged me for these witches headbands in the supermarket the other day, they put them straight on their heads from the shelf so i didn't have much choice! 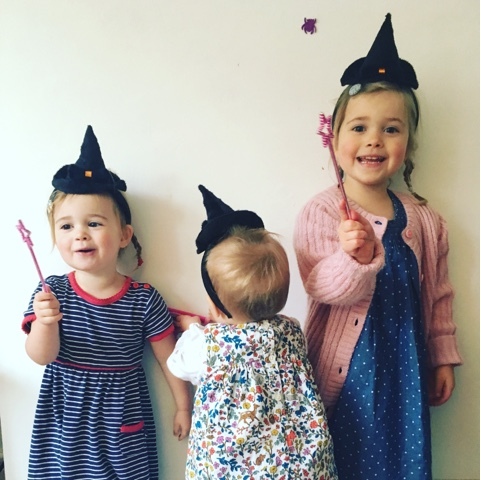 They adore dressing up and making believe and I think they make super cute little witches. They have little witch dresses to wear to our annual family Halloween party where they have fun with their cousins. 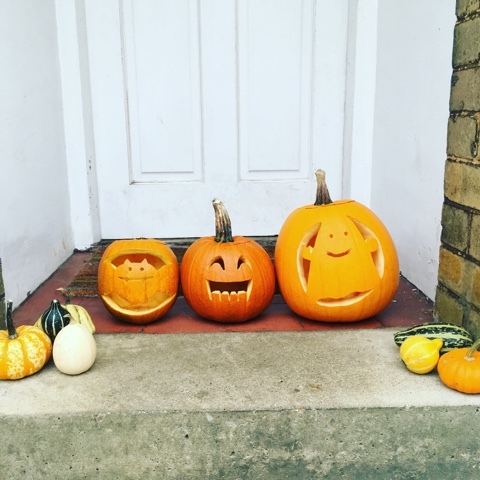 I hope that's given you a little bit of inspiration and some ideas of what you can do with your children to get in the Halloween spirit. 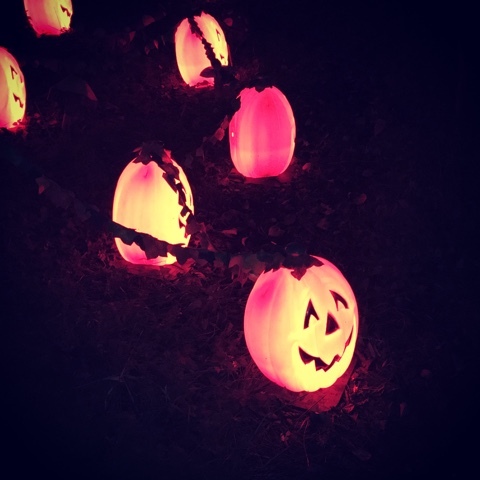 I've also pinned lots of ideas to my Halloween Pinterest board below. Heat the oven to 160 degrees C and line a baking tray with baking paper. Sift the flour into a mixing bowl, then add the sugar. 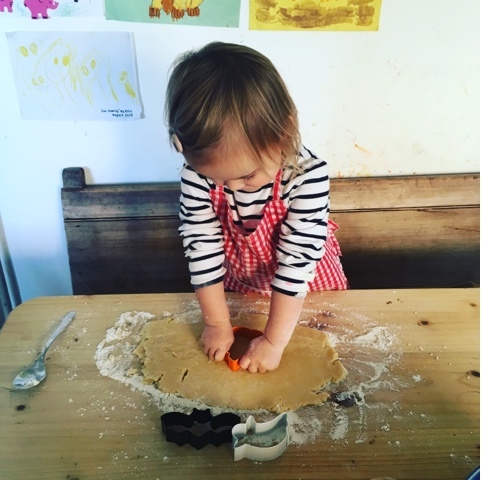 While your biscuits are in the oven mix together some icing sugar, water and food colouring to decorate your biscuits with. We chose orange for Halloween. 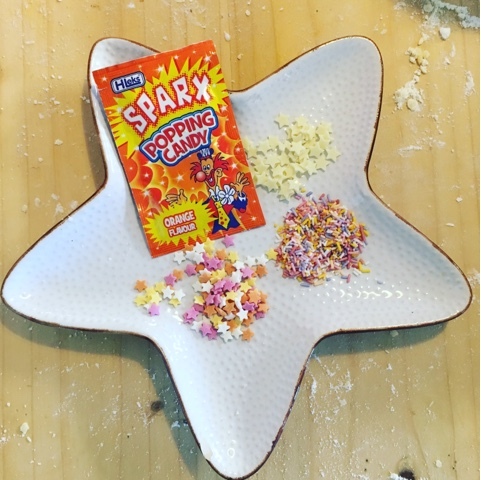 Decorate with whatever you like, we chose sugar stars & sprinkles as well as some white chocolate stars and popping candy for a yummy 'trick or treat' surprise. We made eyes and mouths out of some ready to roll black and white icing for some added fun . 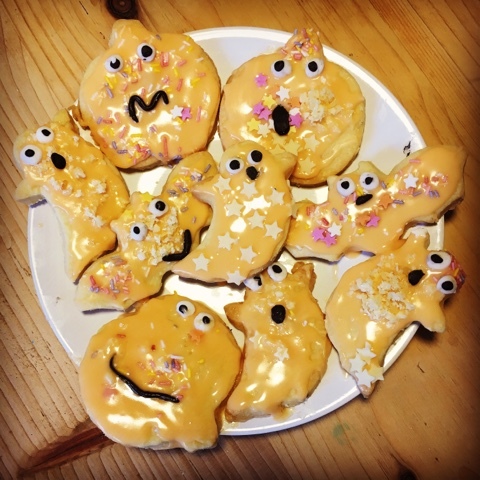 Phoebe really enjoyed making these spooky biscuits and they were really tasty too. 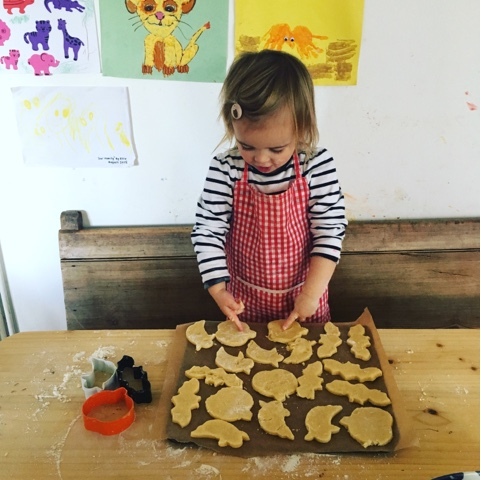 The recipe can be used for any occasion and makes a yummy, crumbly shortbread. They are just as tasty left undecorated too, we often make stars and hearts to have with ice cream as a tea time treat. We're going to make another batch for the 31st October and the little ladies have decided they want to make them into green monsters with lots of eyes! I hope you have fun making them. Last week I was offered and have accepted a new job. It's a dream job and absolutely perfect for me. I stumbled upon the job almost by chance and applied not expecting (although hoping) to get an interview. The interview went well and I was offered the position. It all felt as though it was meant to be. I am super excited about it but also a little apprehensive about juggling everything and learning to balance motherhood and everything else with it. I hadn't realised how much there was to consider being a working mum. Firstly, organising and finding the right childcare was a far more complicated thing than I had realised. I hadn't factored in that childcare providers may not have space on the days and hours we needed. I hadn't thought about how I would feel about different options until we started looking. I hadn't realised that contingencies need to be put in place for when children are poorly and how we would juggle the school holidays. I hadn't anticipated quite how many sums we would need to do to make sure the numbers work. 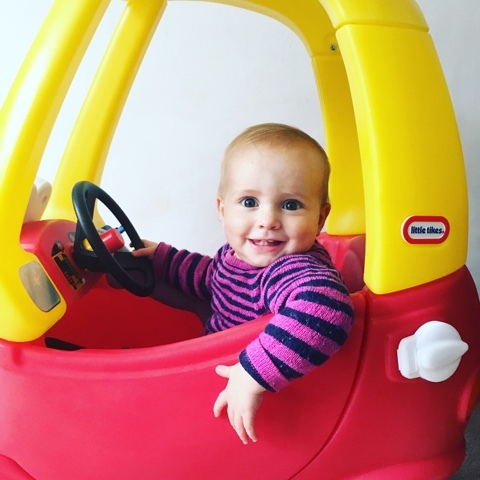 After lots of discussion we have finally have settled on childcare arrangements that we feel happy with and that will mean minimal upheaval to the girls. We are super lucky to have a wonderful support network around us in our friends of family and friends who have already offered help should we ever need it. I've managed to negotiate hours to fit around the girls and our childcare arrangements but this in itself meant 3 days of phone calls back and forth to reach an agreement everyone was happy with and meant an awful lot of juggling. 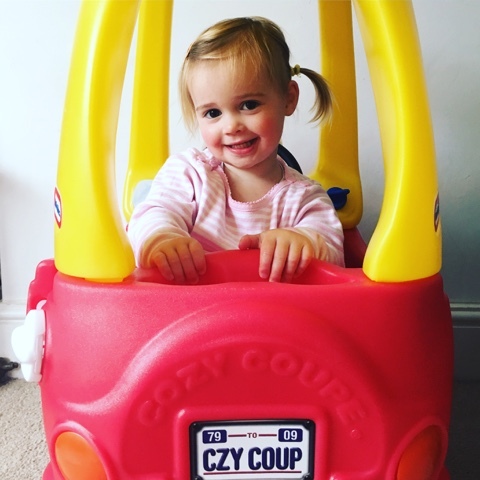 Things are full on as they are, being a mum to 3 children under 5, managing the household, trying to be a good wife, friend, sister and daughter and writing my blog which is something I love. Throwing something else into the mix means more to balance, another version of me, the work me and another plate to spin. I guess it's a leap into the unknown and will take a while for us to find our new normal. 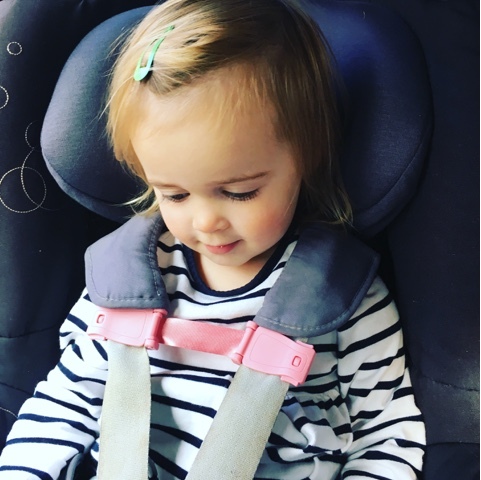 While the juggle will inevitably be a struggle sometimes I feel like this change also comes with huge benefits for our family. I have been at home with the little ladies for 5 years now and have absolutely loved it, however I know i'm ready to go back to work and think I will really enjoy it and the positive challenges, identity and self esteem it will give me once i'm there. The financial benefit will take the pressure solely off my amazing husband who works so hard for us and I think i'll be a better mum for it in the longer term. 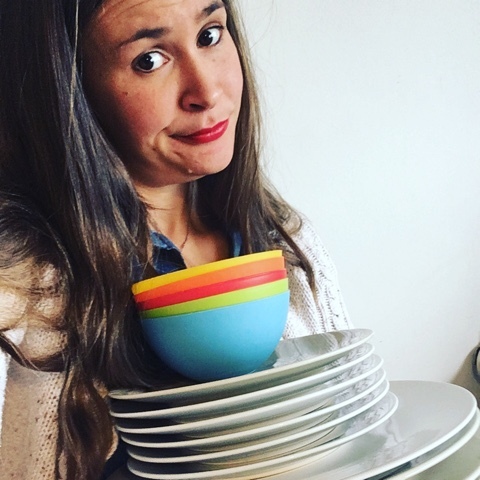 Motherhood is sometimes hard and if I am completely honest (which I always aim to be here) I have been feeling lately that i've reached burn out a bit. The day to day grind and tantrums can be hard especially when there is no break from it and all the days sometimes roll into one. I think i'll enjoy the days i'm off with the girls and really appreciate our time together as it will feel even more precious. In terms of balancing work with all the other stuff I do I think i'm just going to have to be super organised making sure everyone's bits and bobs are ready the night before and investing in a family wall planner so everyone knows where they need to be when, or at least I do! My trusty Chedworth wall unit in the hall will definitely help too. Things like online food shopping will really help and Oli has promised that he will help share the epic task alone that is our washing mountain! Marriage or partnerships are largely based on teamwork and I think more than ever Oli and I are going to have to pull together and work as a team. Oli will be taking care of the girls 2 out of the 4 days I'm at work which has made the decision so much easier for me. I'm pleased that he will get to spend this time with them and their routines can continue as normal. I'm still going to be working really hard on my blog and have lots of exciting things in the pipeline that I can't wait to share with you. Sometimes everything just comes at once and you just have to ride the wave don't you? I'm sure that at some point during the juggle they'll be times where a plate gets dropped and it will feel like the balance is being tipped. Hopefully it will be rebalanced by the positives it brings too with the girls continuing to be the centre of my world, because ultimately it's all for them and therefore utterly worth a little bit of a struggle now and then. 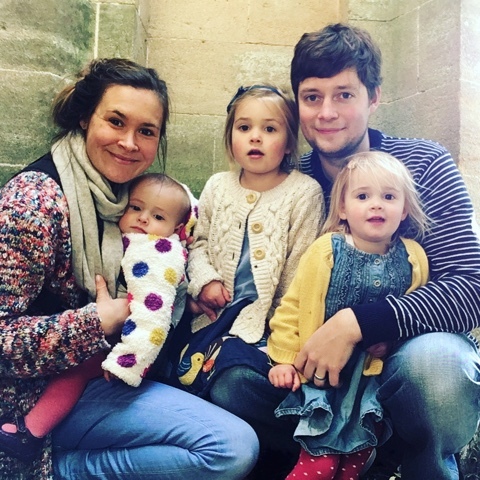 I'd love to hear from you if you have any tips about balancing motherhood and work, please leave me a comment below. 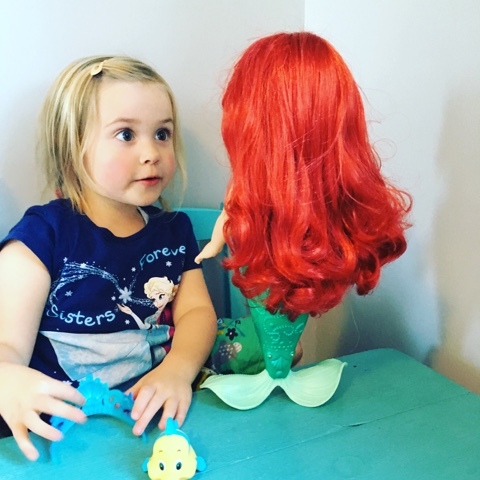 We are big little mermaid fans in this house and Disney fans in general.The Little Mermaid is one of our favourite movies to snuggle up and watch on a rainy Saturday afternoon. The little ladies love mermaids and whenever we go swimming they will pretend to be one. 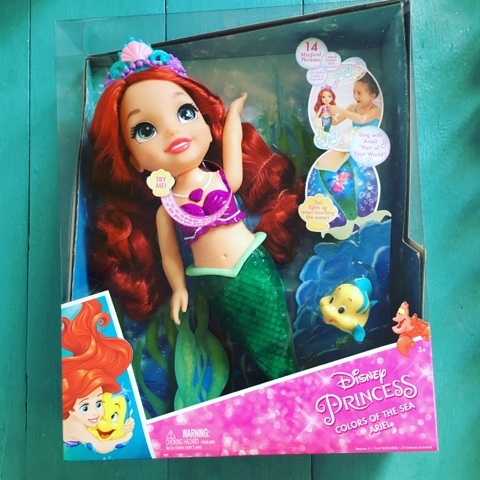 They were absolutely delighted when this Colours of the sea Ariel doll arrived and couldn't wait to get her out of the box. She's really rather lovely with gorgeous red hair which is synonymous with Ariel. She comes with a Tiara and her friend flounder. When you press the seashell necklace Ariel says 14 different phrases and sings 'Part of your world' which the little ladies thought was incredible as they sang along with her. I was really pleased that she came with batteries so that they could play with her straight away. 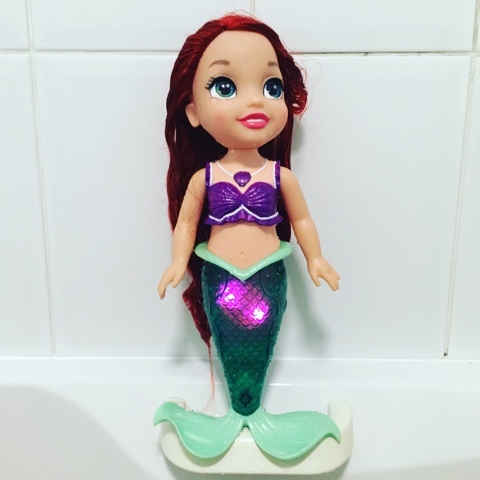 As if that wasn't enough the colours of the sea Ariel can also go in the bath. 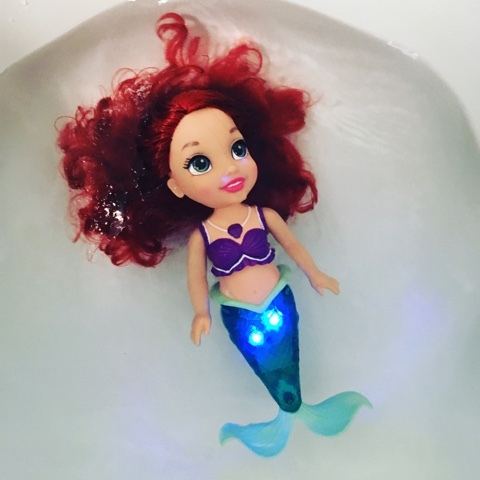 Her tail lights up and she sings upon contact with the water, this is just so magical and gives so much extra play value. The little ladies didn't want to get out the bath! She dries really easily and the water drains from her tail quickly meaning she can be played with 'on land' again. Miss Boo loved brushing her hair with one of her dolls brushes after the bath. Flounder can also go in the tub and squirts water too for added fun. 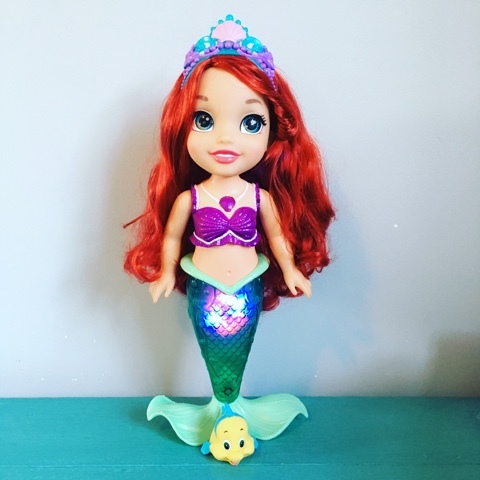 This post has been written in collaboration with Jakks Pacific who kindly sent us a colours of the sea Ariel to review. All the opinions in this post are my own. 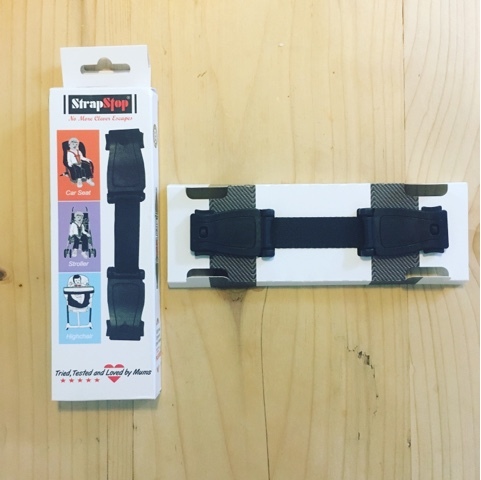 This post also contains an Amazon affiliate link. 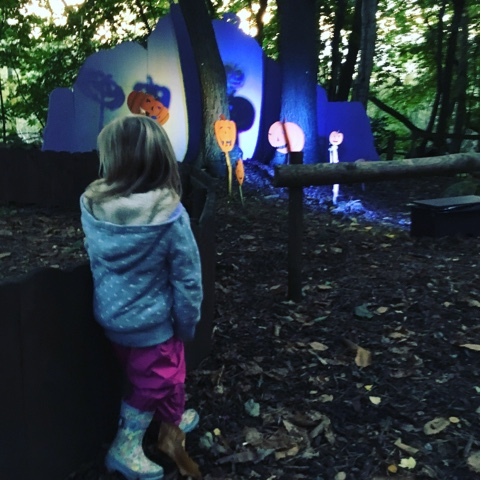 We were super excited to be invited back to Bewilderwood in Norfolk to review their 'Glorious Glowing Lantern Parade' following our visit in the Summer. It's a magical, annual autumnal event which runs for a few weeks every October in addition to the wonderful things that this amazing place already offers. 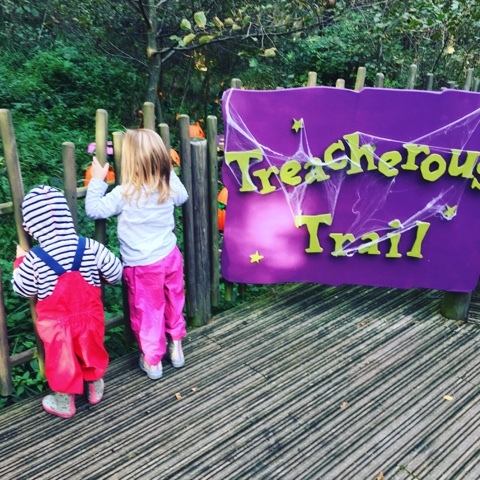 If you're looking for something to do with your littles this month make sure this is on your list, it's the perfect Halloween themed half term adventure and the little ladies loved it. Not only can children run, climb, slide, swing and just generally 'be wild' in this fantastic adventure playground in the woods, there's a whole programme of special activities from interactive storytelling, to face painting, to making your lantern for the parade and it's all included in the entrance price. 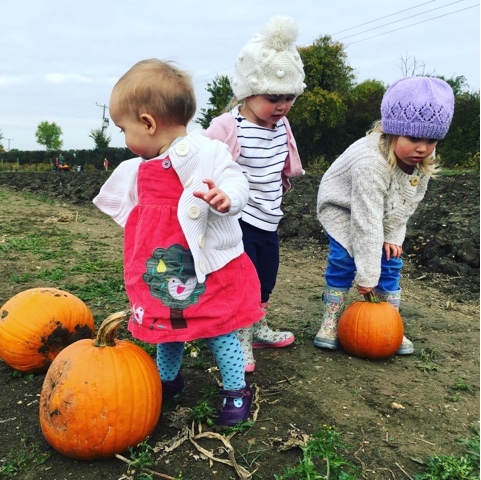 The woods looked so enchanting with the leaves turning gold, orange, and yellow and had been decorated with pumpkins all with different expressions which the little ladies loved finding and made it even more an inviting place to explore. 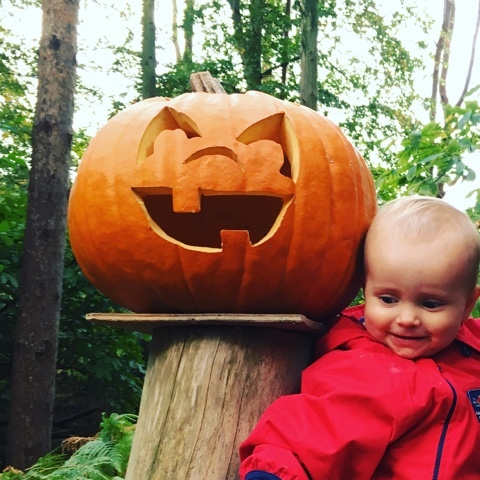 There is a spooky themed quiz trail with an answer to find in each area of the woods which makes sure you find all the different play areas. There's a badge to collect on the way out as a prize in exchange for your quiz sheet which is a lovely touch. The little ladies loved making their lanterns in the Big Hat for the parade later in the day. 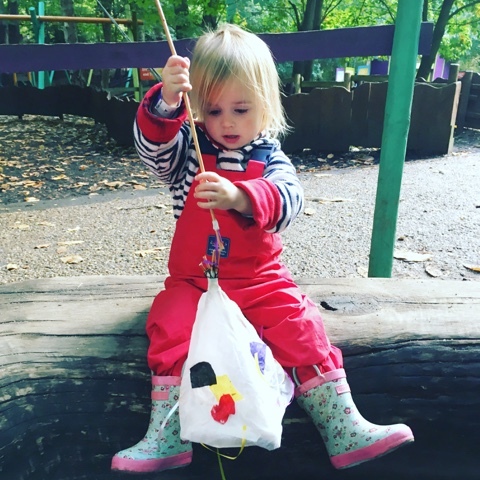 All the materials you need to make and decorate your lantern are provided and the children are then free to be as creative as they like. They were really proud of their creations and couldn't wait to crack the glow sticks to make them glow when the sun went down. While we were waiting for the sun to set we explored the woods and the girls played as well as having their faces painted with little stars. 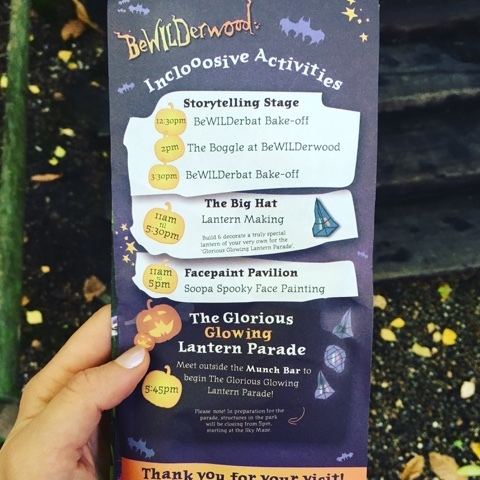 We arrived at Bewilderwood mid afternoon a little later than we normally would as the lantern parade itself isn't until 5:45pm. We had a lovely hot meal at 5ish from the Munch Bar which serves things like jacket potatoes, soup, nachos, hot dogs and Miss Tibs had sausage mash and yorkshire pudding with gravy! It was all really tasty and reasonably priced. As it got dark the lantern parade began and we walked through the woods. The trees looked magical illuminated and there was lots to see. The little ladies loved seeing the puppet characters from the Bewilderwood story pop up and it really got their imaginations running. They weren't at all frightened which was great and found it enchanting more than anything else. We hope you enjoyed our review, let me know if you have visited and what you thought in the comments below. 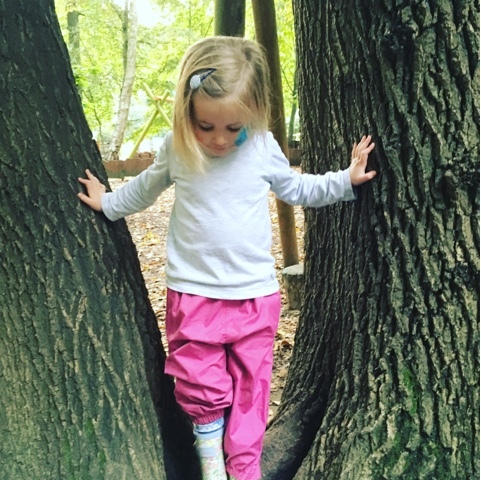 You can read about our first visit to Bewilderwood in the Summer HERE. 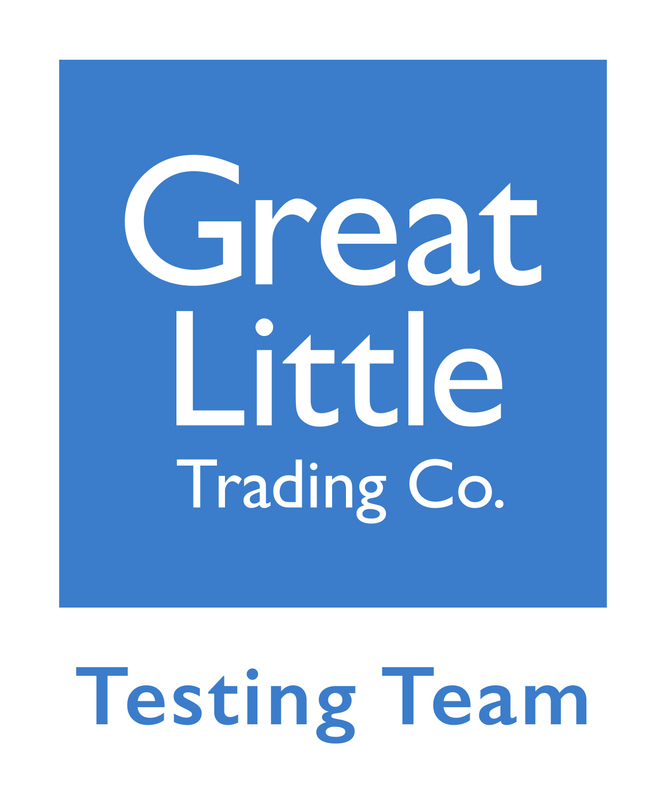 who kindly gave us tickets to the event in exchange for an honest review. This week I went to my first 'Mothers Meeting' but not in the traditional sense of the word.... 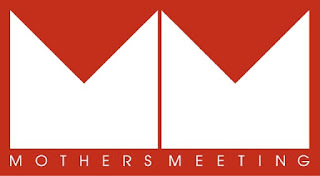 Mothers Meeting is the brainchild of Jenny Scott who set up a network for like minded mums following the birth of her first baby, she quickly realised that mums want to talk about more than nappies and to embrace motherhood whilst maintaining their identity, something I can really relate to. 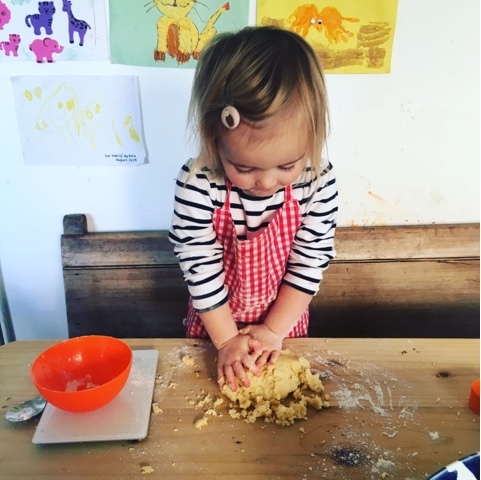 I think it's really easy to loose yourself in motherhood and sometime hard to remember who you are under the piles of washing and rice crispies all over the kitchen floor. Building a network around you as a mother and woman in general is something I think is really important and this is exactly what Jenny does. Mothers Meeting is a wonderful community of women all championing each other, sharing ideas and having a brilliant time together. 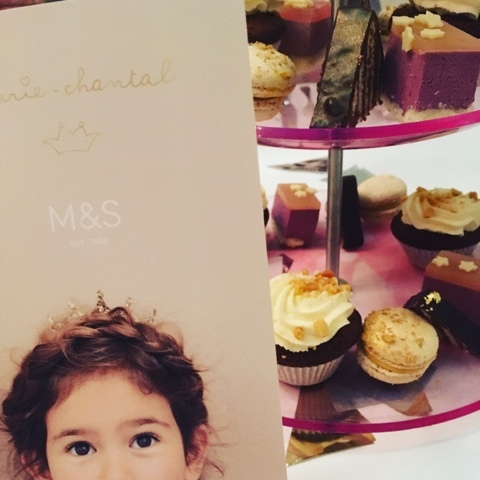 I spent Thursday afternoon at the absolutely stunning Haymarket Hotel in London in the company of 30 other women, many of them fellow mothers, some of them fellow bloggers, all of them awesome - to have afternoon tea. 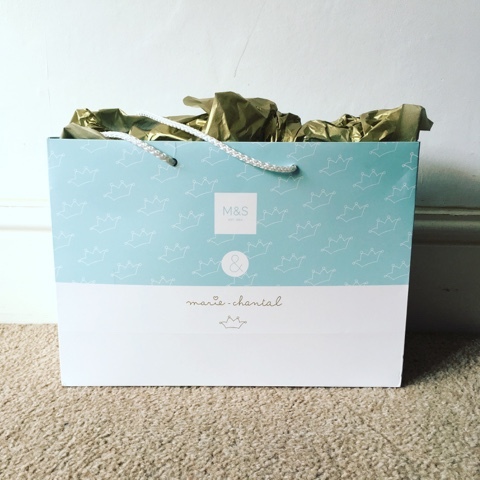 thank you Marie Chantal and Marks and Spencer. 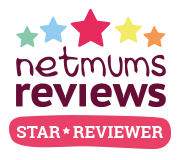 Jenny runs all kind of Mothers Meeting events which everyone is welcome to attend, check out her current events HERE. There's something for everyone including confidence conferences to business academies and just brilliant opportunities to meet and chat to like minded women. 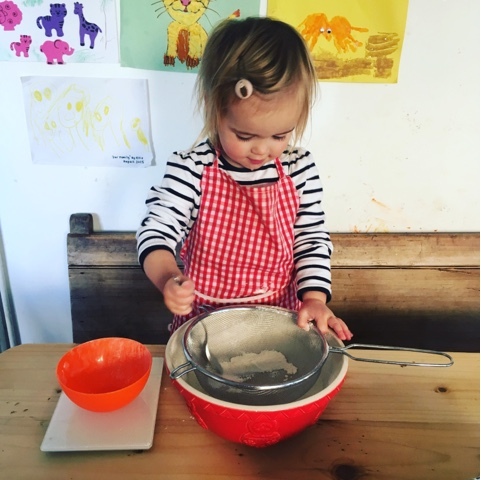 I'd also recommend following Mothers Meeting on Instagram, which is where I first discovered them, there's a lovely community over there and Jenny provides a daily dose of inspiration, motivation and conversation starters. I really loved my first Mothers Meeting and although i'm not based in London it was absolutely worth the journey to attend - I will definitely be back! Thank you for having me Jenny.